A new podcast? You can’t be Sirius! Last month I wrote about The Jodcast and some of my favourite memories from being involved with the show. That post was inspired by participating in Jodcast Live – a recording of the podcast in front of a live audience, the result of which has now been released. Jodcast Live reminded me of how much I loved podcasting, and how much I’ve missed doing it for the last few years. It turns out that Dave, Mark, Megan and Stuart felt the same way, so we decided to make a new podcast! It’s called Seldom Sirius and episode one (mp3) was released earlier this week. 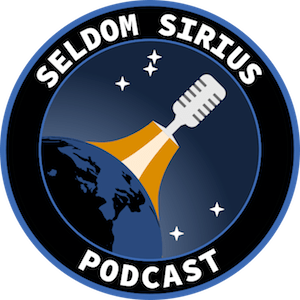 The Seldom Sirius mission patch, created by Stuart Lowe.